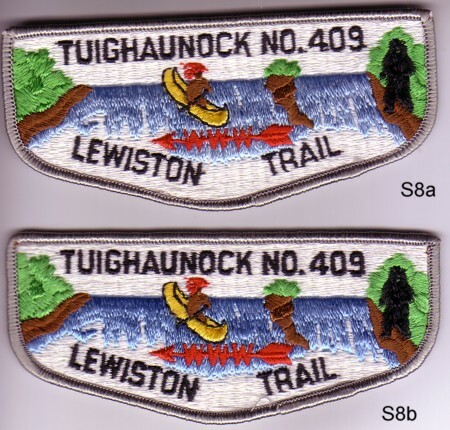 Here is the third in a series of posts to aid you in your identification of flaps from Tughaunock Lodge #409. In this post we will look at the S8a and S8b. The blues, are close, but when held together a distinct difference can be seen. I also think the lettering is slightly thicker in the S8b.